Get affordable whole life insurance quotes instantly and compare online. Monthly premiums are higher since the insurance company is going to give you coverage for your whole life. Whole life insurance is for people who need permanent coverage. We discuss it more below. Get a whole life insurance quote comparison online. Only basic personal information is needed to get whole life insurance quotes online. So, What Is Whole Life Insurance? As we like to say, "In Plain English," whole life insurance is simply, protection against the loss of life that doesn't have an expiration date. As long as the premium payments are made, your policy stays in-force and active. Whole life insurance is going to last for your whole life as long as the premiums are paid. These policies also build cash value, the longer the policy is in-force, the higher the cash value can become. Medical Exam - At no cost to you, a medical examiner will come out to your home or place of work to complete your exam. Medical Records Request (APS) - Some underwriters will request your Attending Physicians Statement (APS) along with your medical exam. These companies want to make sure they have a clear picture and are able to offer you the best rate possible. 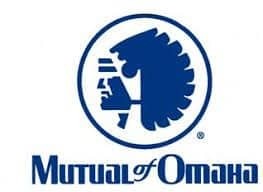 MIB Check - This is going to check to see if you have any history with past insurance companies or have applied for coverage recently. All of these reports are used together to determine your insurability with a particular company. Remember that each company has their own underwriting guidelines so a "No" from one company doesn't mean an "No" for them all. Level / Standard - This product has several health questions and maybe a phone interview, but usually no medical records or exam and is the most affordable out of the options. Graded - This product has only a few health questions, is in the middle on pricing, and also has a 2 year period where the coverage amount "Grades up" to the full amount. Guaranteed Issue - This product has no health questions, no medical exams, no medical records and no telephone interview; however, it does have a waiting period and more expensive monthly premiums. It is really going to depend on the type of product that you purchase. For Final Expense Life Insurance, Instantly or up to 1 Week. Keep in mind that the more underwriting your policy requires the longer an approval will take. What Type Of Whole Life Insurance Quotes Do You Offer? ​Simply Insurance offers a wide variety of affordable whole life quotes online. We have Both Traditional, Cash Value Whole Life Insurance as well as Final Expense Life Insurance which we cover more below. A whole life insurance policy covers almost anything you can think of and the payout is a lump sum payment, once it's paid out to your beneficiary they can use it to pay for anything. The biggest myth about the cost of permanent life insurance is that it's too expensive. However, the same study found that life insurance policy quotes are 80% than what people thought they were. Don't hold back, it is more affordable to buy whole life insurance than you think. Most insurance companies allow you to purchase up to 30x your annual income, but we recommend that you have at the least 10x your annual income in life insurance. Just remember to buy life insurance that you can afford. If you are buying for final expenses, the national average for burial insurance is around $10,000 so anywhere between that and $15,000 is more than enough. Whole life and universal life are similar in that they offer the ability for you to have coverage for your entire life to make sure your beneficiaries will receive some sort of payout; however, they differ in the flexibility of premiums and costs. 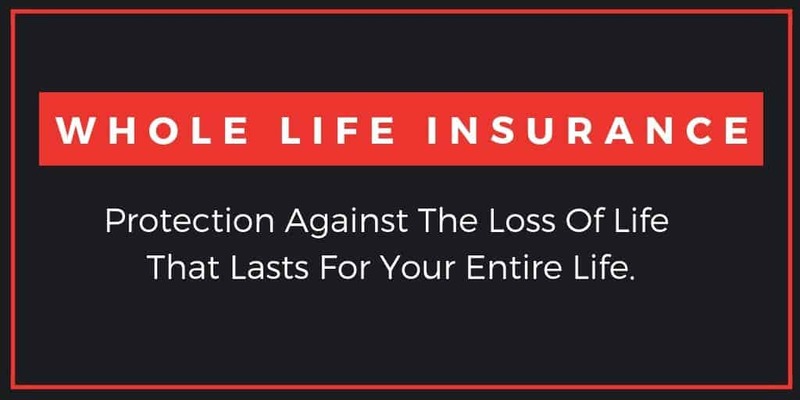 The battle of whole vs term always comes down to the different whole life and term life insurance quotes and rates, as well as the financial protection of your loved ones. When it comes to choosing the best whole life company you want to consider things like their financial strength in the insurance industry and if they give you more that one way to pay your premiums; can you pay with a credit card, checking accounts or savings account. There are two types of life insurance, Cash Value Whole Life and Final Expense Life Insurance. From my experience, who needs the products and how they are used will vary drastically. Below is a general idea of the products benefits and use. Can I get Whole life insurance online? If you are looking to shop whole life insurance online, then you have come to the right place. We have made it easy to apply for life insurance online by offering multiple whole life insurance products. Our partners make buying whole life insurance online incredibly easy and affordable. You won't find another product and company that will make your insurance coverage a priority. ​With our whole life plan offerings you can get covered fast and spend more time on other things you care about.